Steve’s breakdown: It’s Target and there’s three apparel brands: A New Day, Joy Lab and Goodfellow & Co. The forth is a home goods brand called Project 62. That’s a lot of work that needs to be done by this fall. MINNEAPOLIS, MN: Target Corp. is doubling down on its efforts to distinguish itself with exclusive brands and to be a leader in two key categories. 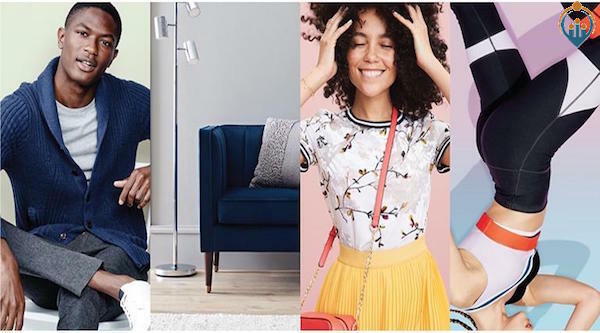 The discounter revealed in a posting on its website that it will launch three new apparel brands and one new home goods brand in its stores and online this fall. Target is hoping to replicate some of the success it has had with its Cat & Jack kids apparel brand, which it launched last year. As it phases in new exclusive brands, Target is also taking stock of some of its existing offerings. The chain’s Merona apparel line and its Mossimo collection for men will be phased out, The Wall Street Journal reported.